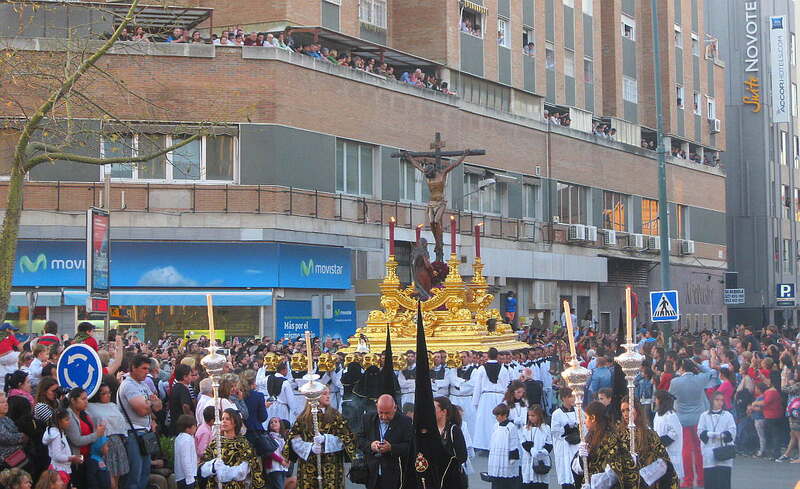 At the time, we are in the Easter week which is one of the year's biggest events here in Spain - perhaps even the greatest. Spring has arrived and the temperature is at a comfortable Scandinavian high summer level, everything is green and nature is now at its most beautiful. 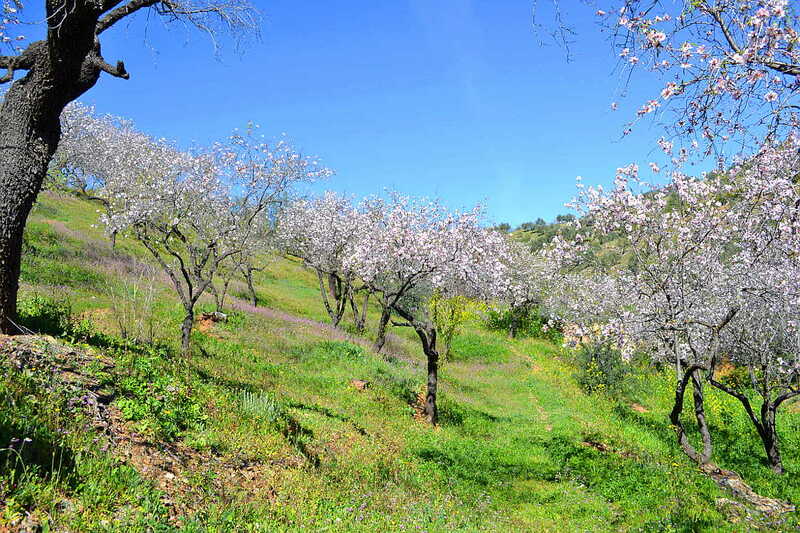 Some spring pictures from Andalusia, the southern part of Spain - always sweetens life. Almond flowers are at their best in early spring. The golf courses have high season, this is Mijas Golf. 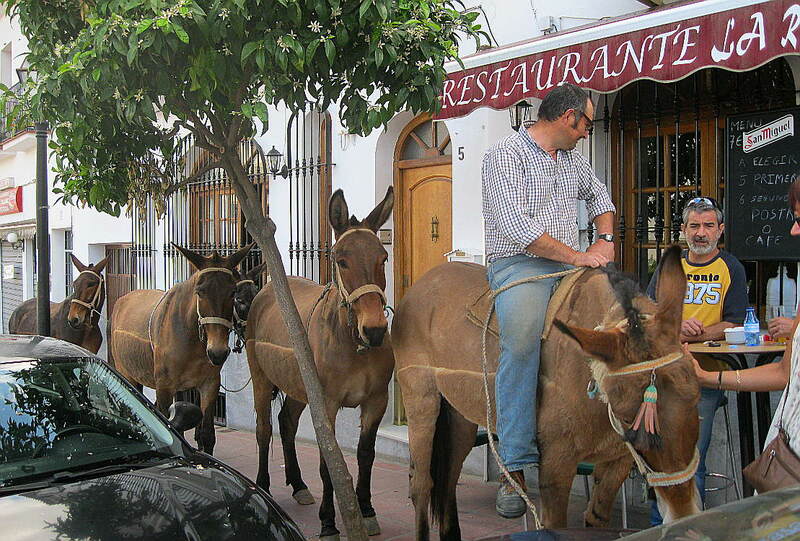 A break in an outdoor dining is nice even for some mules. Easter is the spring's big event in all cities. It has not yet become any crowded beaches. 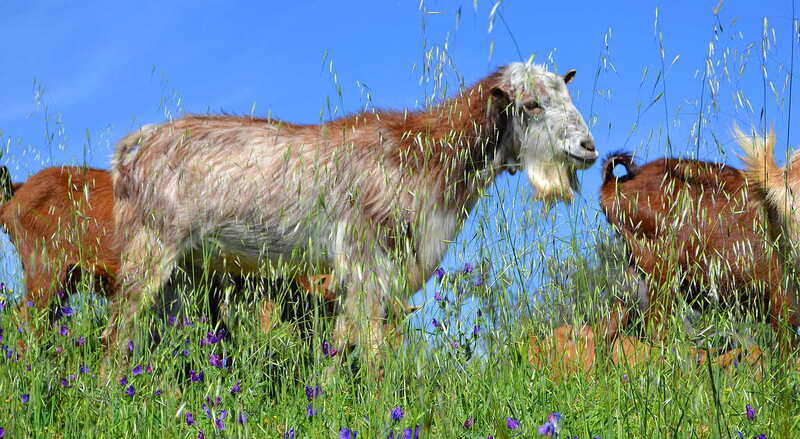 Spring means a lot of socializing, usually outdoors. 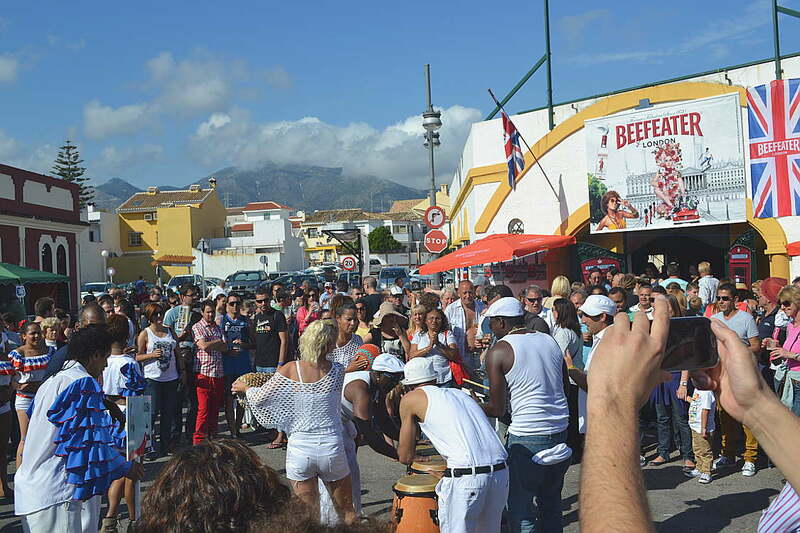 Spain is a large and varied country, the differences between the various elements is significant. This applies to both climate, culture, language and mentality of the population. Writing about all of Spain would require a very thick book so therefore we will only mention some about our neighborhood in southern Spain. 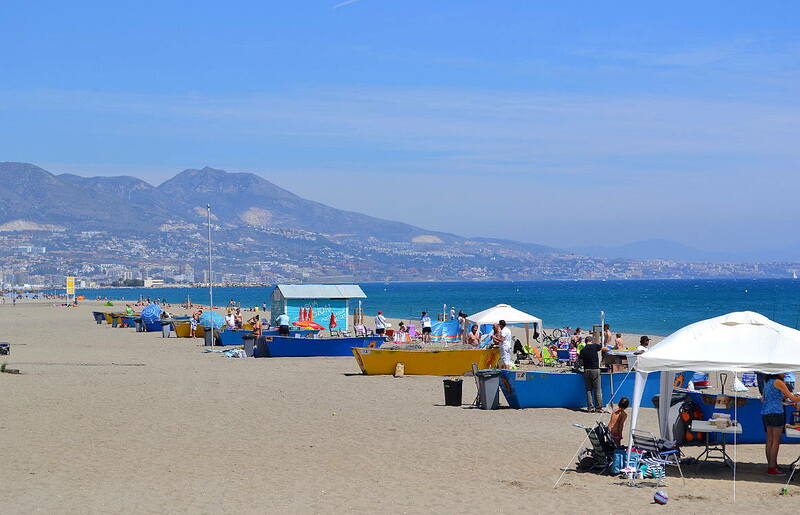 The coast with all the tourist resorts along the Costa del Sol and the close inland is a bit of two completely different worlds. With the close inland I do mean about a half hour trip by car from the coast. What you first notice is that the climate is different, coastal climate is smoother because the ocean has a smoothing effect and furthermore, the coast is much windier. This means that summers are cooler along the coast and warmer inland. In the winter it is often the other way around, but not always in the daytime because the wind can cause problems along the coast. In contrast, winter nights is much colder inland, with temperatures sometimes below zero. Finally, one can not help but notice that prices for the most is below the prices on the coast. This is particularly true for housing, which is experiencing dramatic differences. But even that is around, a restaurant visit or a cup of coffee is usually significantly cheaper a bit from the tourist districts on the coast. Now there's a front and a back side of everything, in the near inland it is not walking distance to the beach - you have to take the car down to the beach. Public transportation is available, but not nearly as along the coast, you are usually referred to own transportation by car, scooter or horse. You can not make yourself understood in a Scandinavian language and English is also not viable everywhere - it's mostly Spanish that apply. 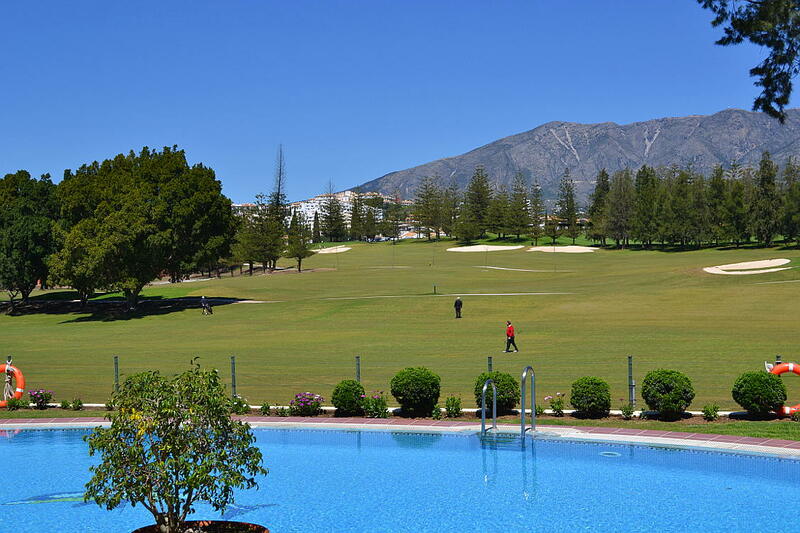 Hotel Tamisa Golf is perhaps as the name suggests, the premier golf hotel on the Costa del Sol. It is also a very popular wedding hotel, they also hosts many events throughout the year. Tore Line transports household goods and other goods worldwide, but is specialized for transports between Scandinavia and Spain. He also paints canvases inspired mainly from Spain and Norway, see his virtual art gallery. Pet Vet Kamu, our local vet in Fuengirola help you with your pets, there is also a shop with everything you could possibly need for your pets. The website also has an interesting and useful article directory.